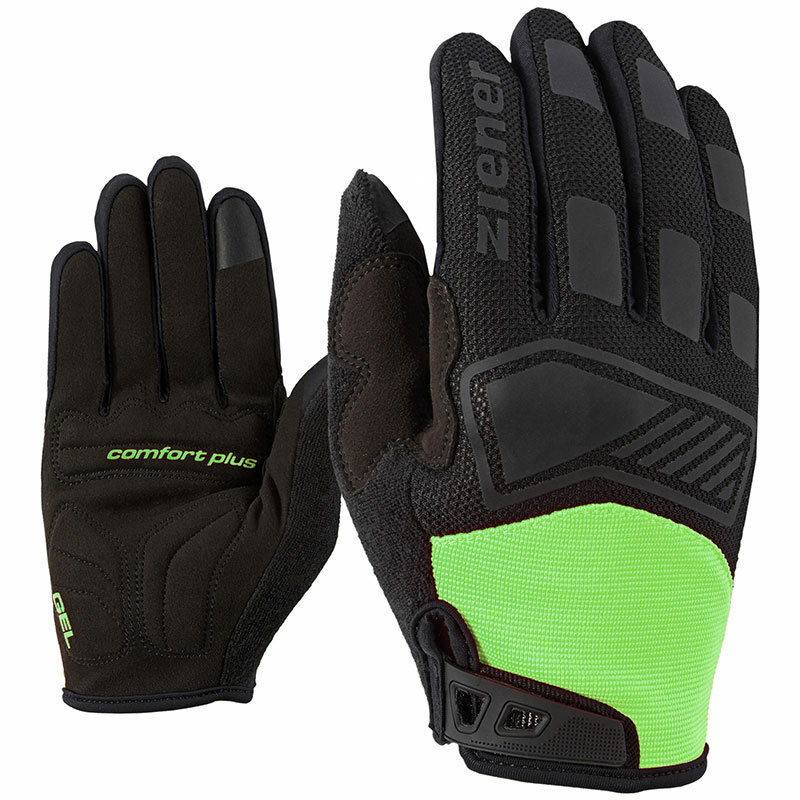 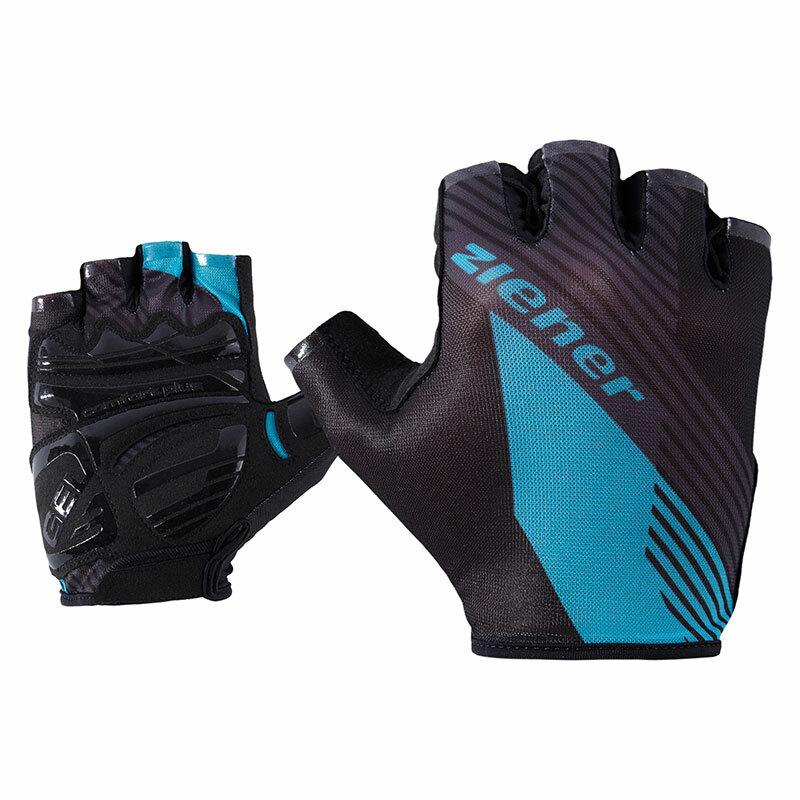 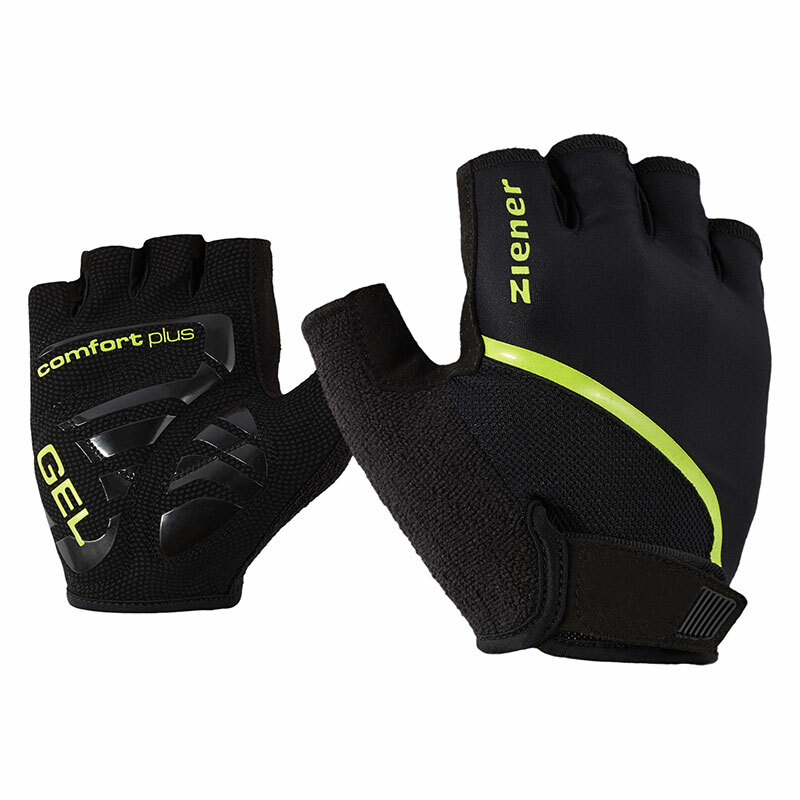 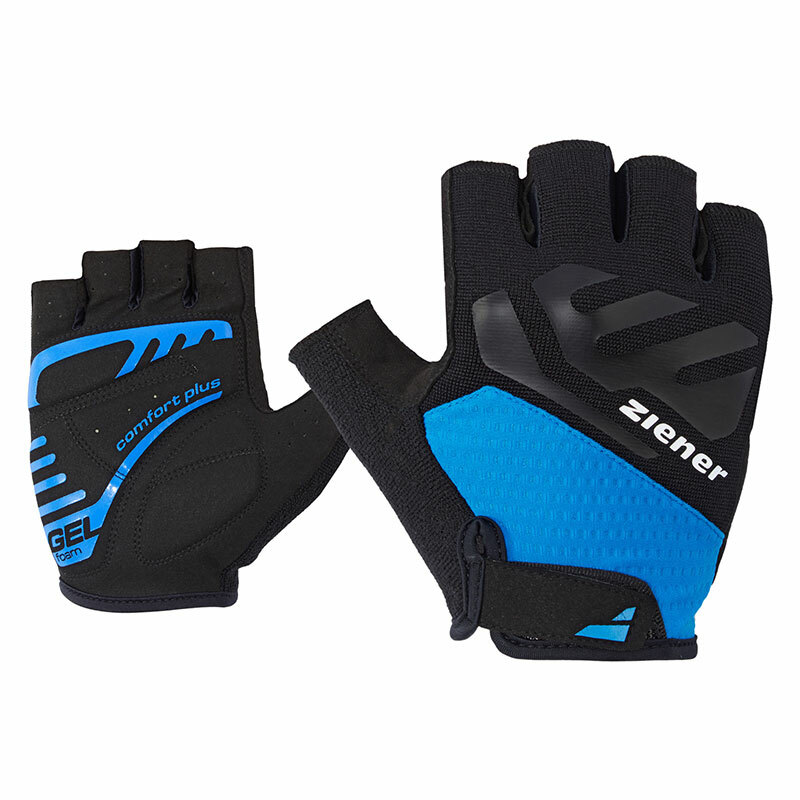 The ZIENER long-fingered bike glove CLIPPO TOUCH LONG is ideal for sporty all-rounder cyclists. The individually tailored thumb patches and the special conductive TOUCH coating on the thumbs and forefingers combine comfort with functionality, enabling the operation of touchscreens. 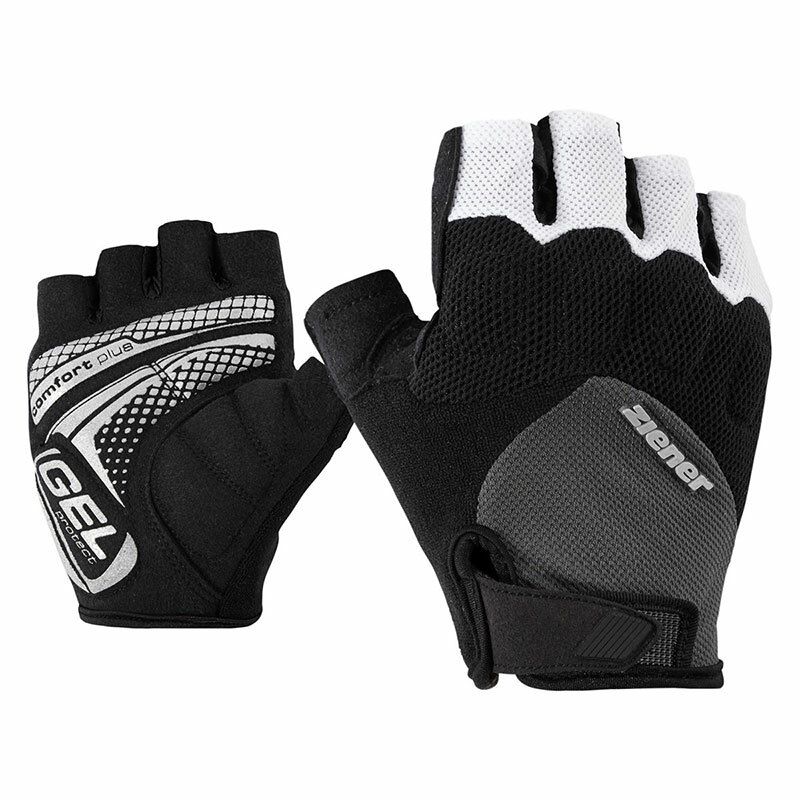 Special GEL padding on the palms absorbs vibrations and prevents numbness. 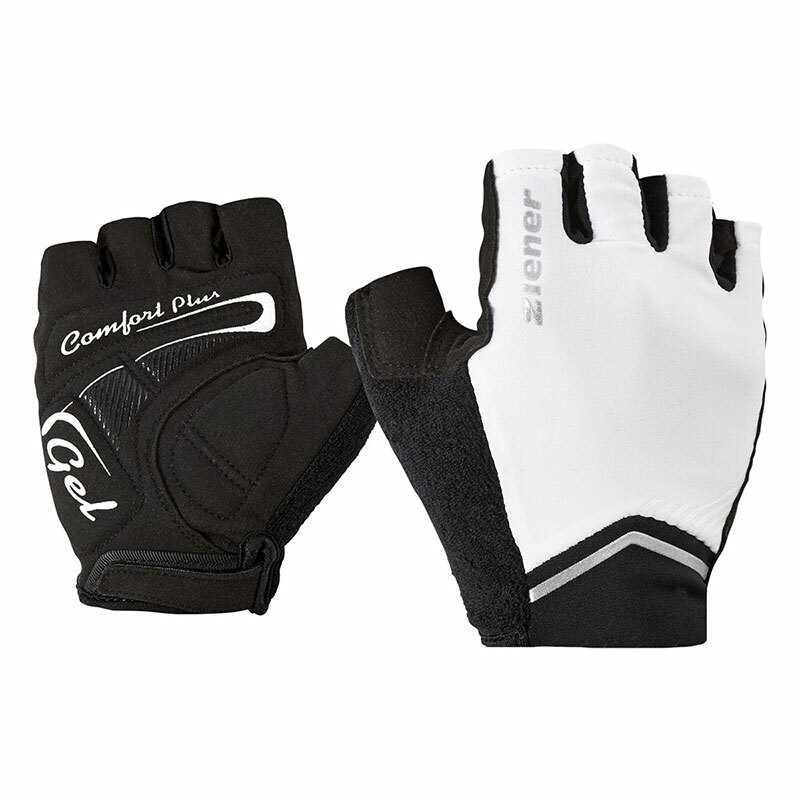 The use of durable, leather-like palm material with breathable properties offers an all-round good feeling. 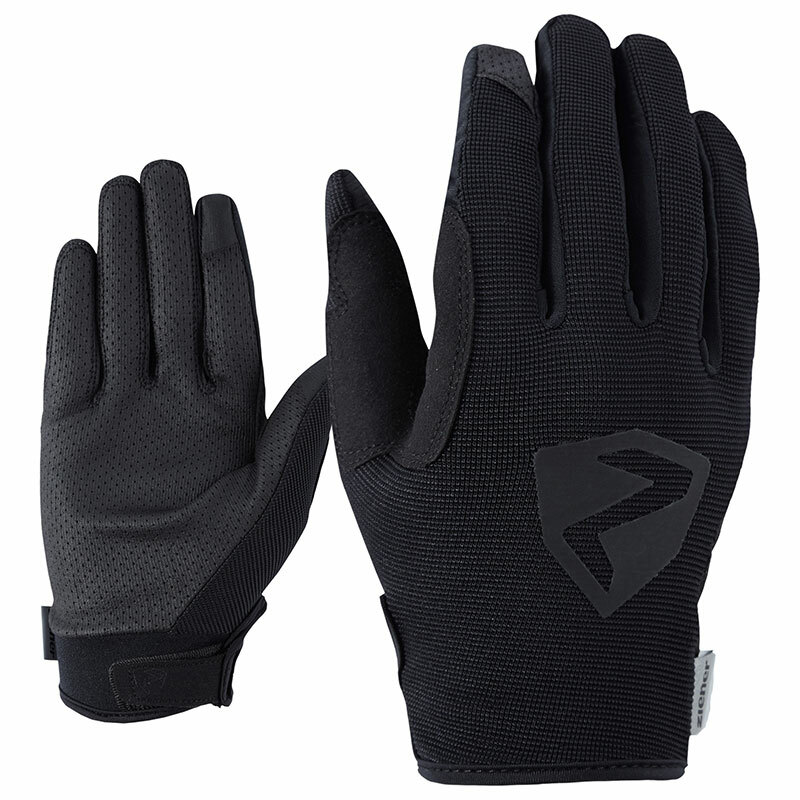 Mesh inserts in the palms also ensure very good ventilation. 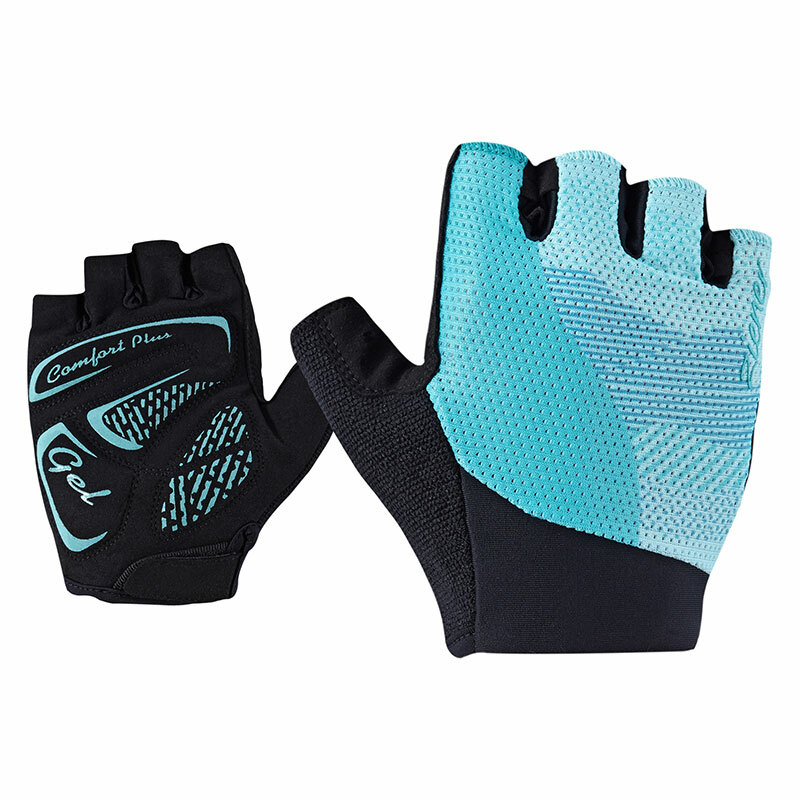 The specially tailored thumb patches prevent pressure points on the skin. 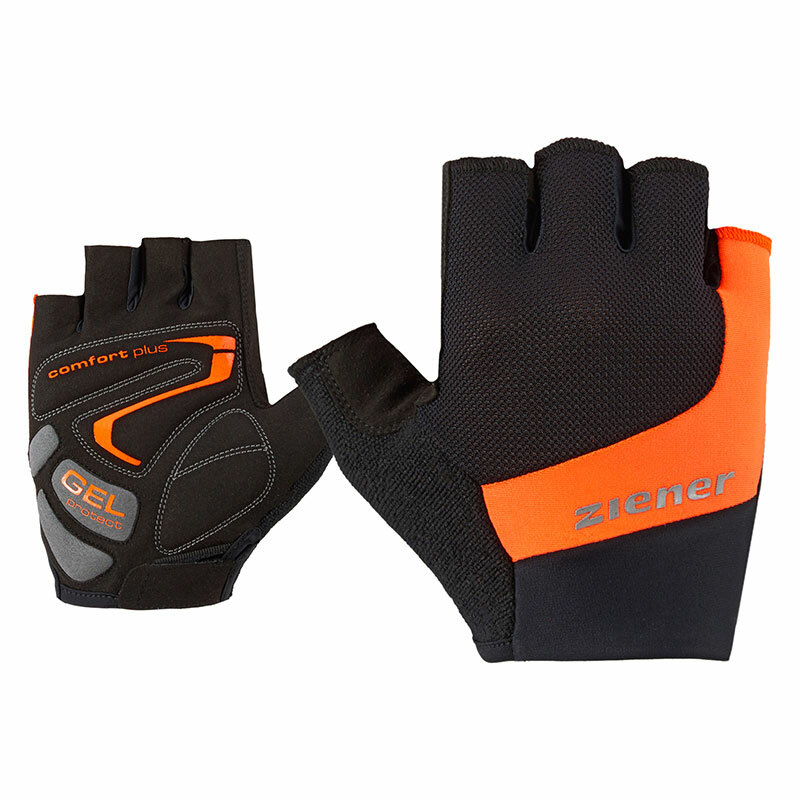 A Velcro fastener with edging on the sharp Velcro edge protects the material and considerably increases ease of use. 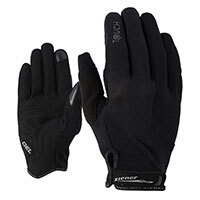 Specially cut thumb patch to guard against pressure points on the skin. 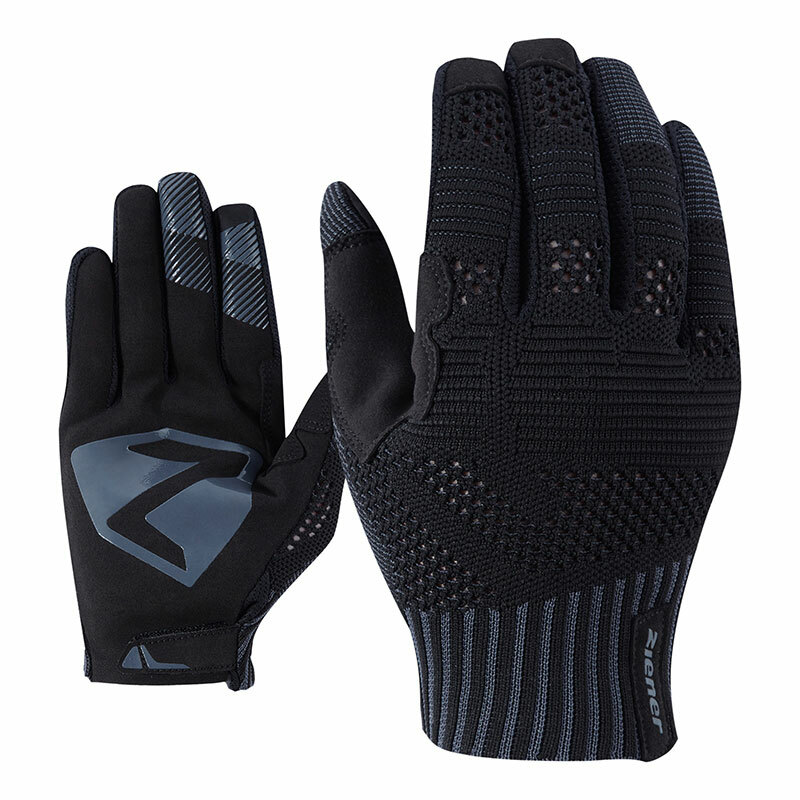 Conductive special fabric on the fingers of the gloves, which ensures optimal use of touch screen devices. 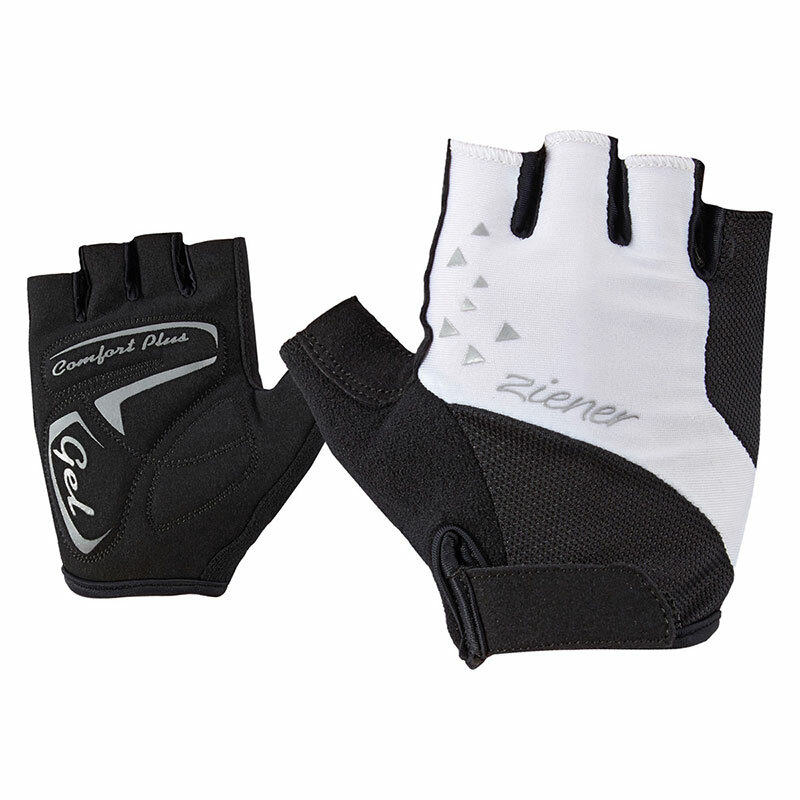 Trimming along the sharp Velcro edge reduces damage to the glove material and increases the ease of use. 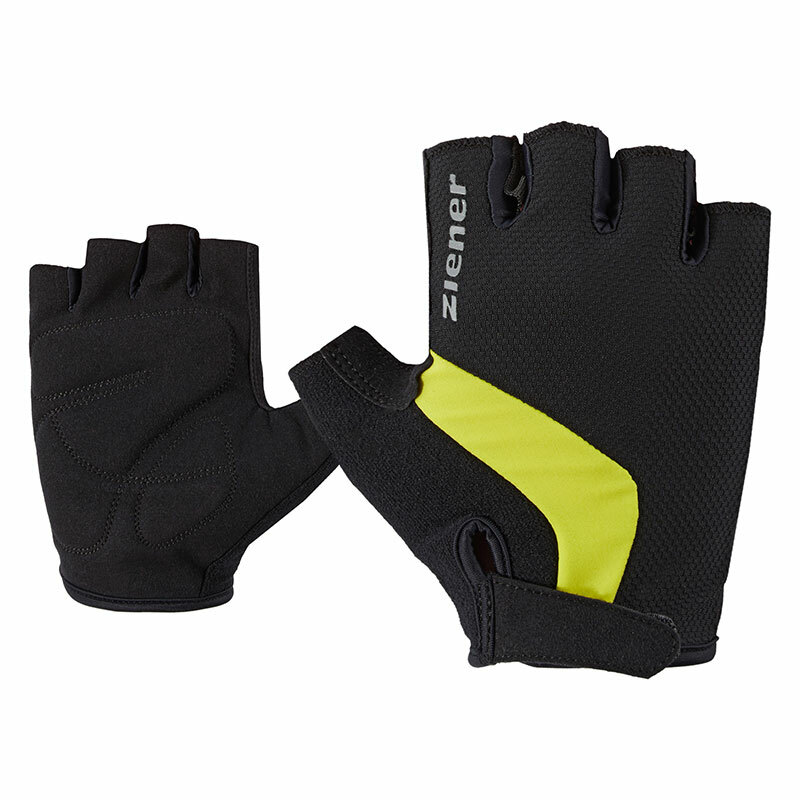 Extra soft elastical palm material with non-slip surface structure. 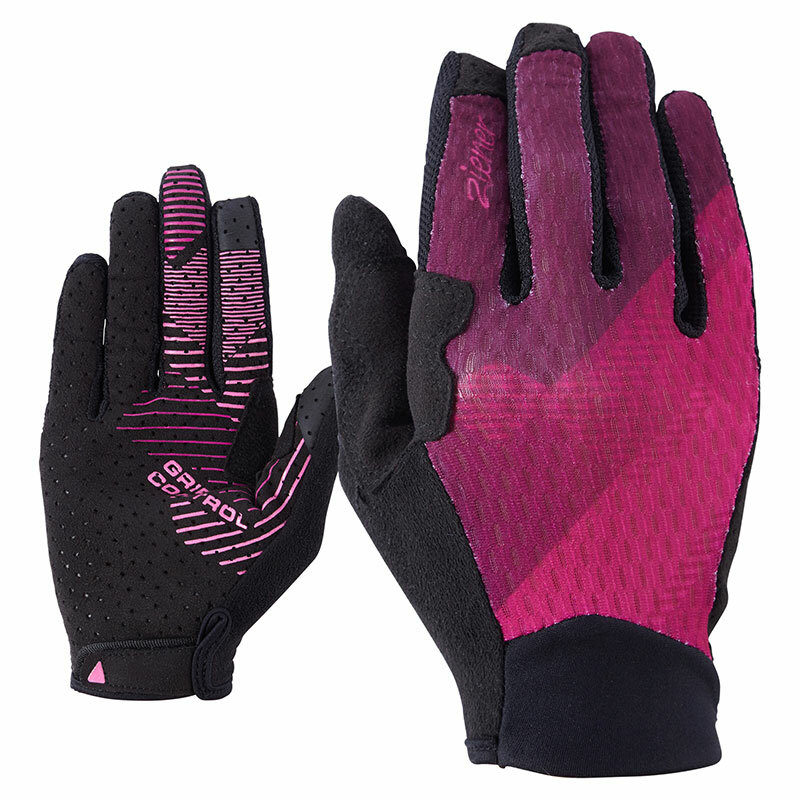 Special gel padding in the inner hand absorbs vibrations, prevents your hands becoming numb and offers protection in case of a fall. 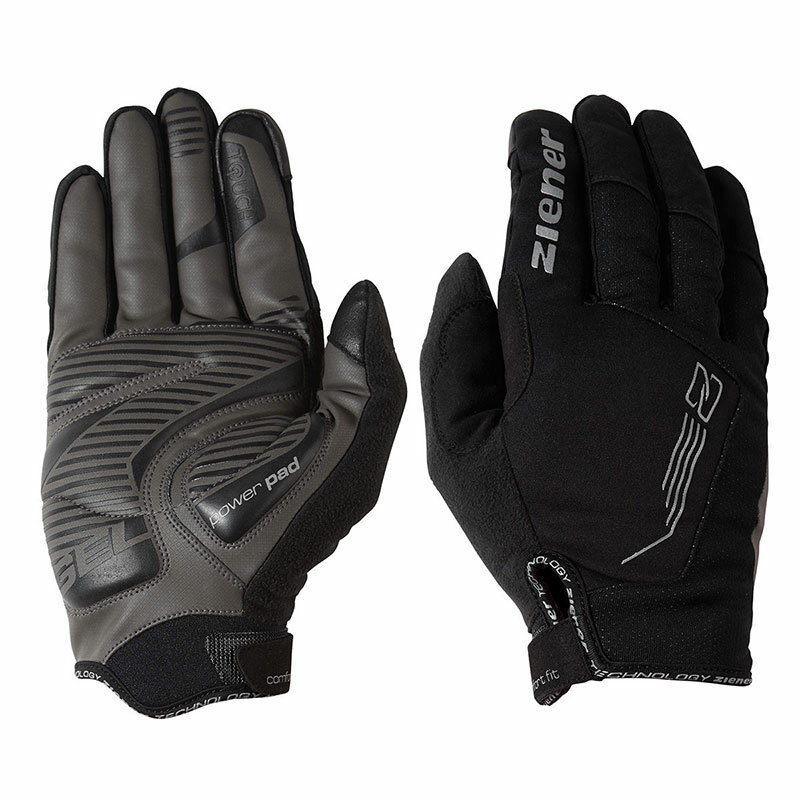 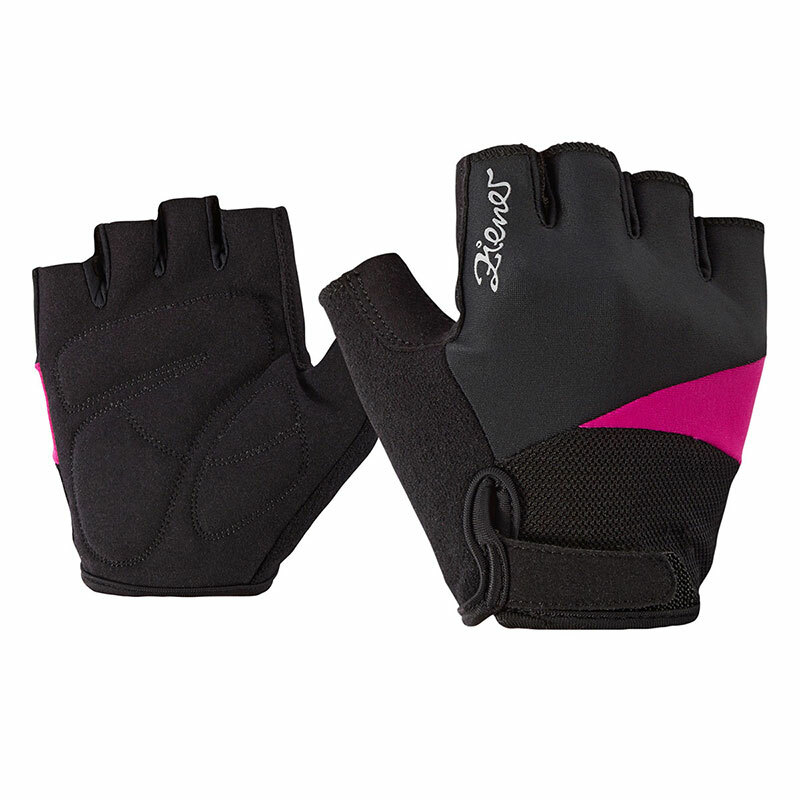 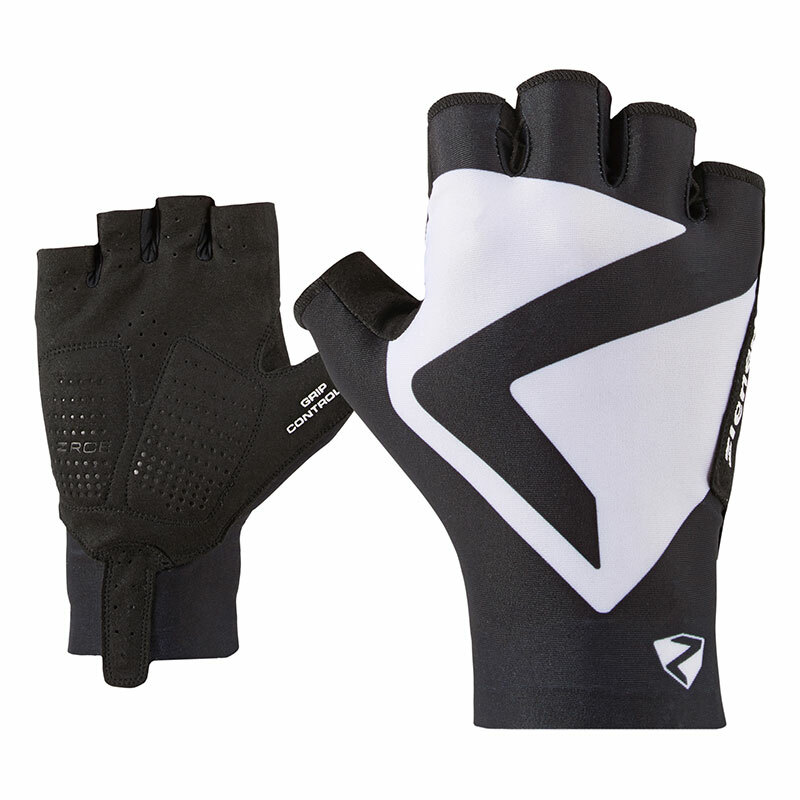 Shock-absorbing, sporty palm with GEL insert.